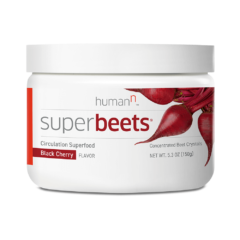 HumanN is the new name of the company that makes the popular Neo40, SuperBeets and BeetElite products. Neogenis was our former name. Why did you change the name from Neogenis? Over the past five years as Neogenis, we have accomplished many things to help our customers lead healthier, happier lives. But that stands in awe of what we have yet to accomplish. Our mission is to change lives everywhere. It’s a lofty aspiration and it led us to think about our name and whether it encapsulated all that we have set out to do. We want to help every human reach their potential and live their best life possible. We believe that every human is capable of extraordinary things and through the promise of Nitric Oxide, everything we do is to help people achieve that—to push harder, achieve greater and finish stronger in whatever it is that matters most to them. Because that’s what matters most to us. Why did you choose the name HumanN? The name HumanN, pronounced human, was inspired by the idea that Nitric Oxide is foundational, even essential, to every body. We want to bring the potential of Nitric Oxide to every human in the world. We believe that doing so can change the course of the human race for the better. Nitric Oxide allows humans to not only reach their full potential inherent in the human body, but to live their life to the power of N, exponentially. Because in whatever matters most to you, whether it be in life, health or sport, everyone wants to reach their full potential. To live their best self. That’s why we are now HumanN, to the Power of N.
Why is there an extra N at the end of HumanN? How do you pronounce HumanN? Why not just call the company SuperBeets or BeetElite? We are best known for SuperBeets and BeetElite, but we make many Nitric Oxide-based functional foods and supplements, and are committed to leading the charge in all products promoting the production of Nitric Oxide, including Nitric Oxide synergistic products, for every phase and stage in life. 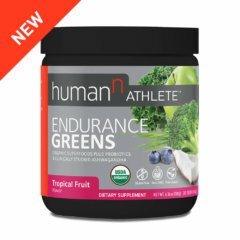 The brand name, HumanN, supports our full line of Nitric Oxide products and our mission. What is Neo40 made of? Neo40 is formulated to boost the efficiency of the body’s nitrate pathway so that more Nitric Oxide is available when and where it’s needed. Each tab contains 420mg of our patented Nitric Oxide blend, with added vitamin C and B12. What is the difference between Neo40 and SuperBeets? Proprietary, one-of-a-kind and patented, Neo40 is a daily supplement that helps to rapidly produce Nitric Oxide in your body, as well as supports the body’s ability to produce its own N-O over time. In fact, it is the only technology in the world, out of the University of Texas Health Science N-O Discovery Program,that generates authentic Nitric Oxide gas and supports the enzyme that makes Nitric Oxide in the body. SuperBeets is our concentrated beet crystal circulation functional food. It is made from sustainably-farmed beetroot selected for the highest dietary nitrate levels and preserve the right combination of nutrient levels to help the body optimize its N-O potential. Just one teaspoon of SuperBeets, the recommended daily serving, is verified to provide the Nitric Oxide of three whole beets and helps promote Nitric Oxide production, healthy circulation, healthy blood pressure levels and improved energy and stamina. Should I take one or two Neo40 tablets per day? Because everyone’s body chemistry is different, we recommend that you monitor your Nitric Oxide levels frequently in the beginning with Nitric Oxide Indicator Strips™, the first saliva indicator strip that measures your body’s ability to produce Nitric Oxide. During the 30-45 day restoration restoration phase, you may take two tablets a day. After 30-45 days, take only one tablet daily. Why is Neo40 so expensive? You can track your Nitric Oxide levels with Nitric Oxide Indicator Strips. The length of time it takes to replenish your Nitric Oxide levels and sustain them can vary dramatically by person. Results depends on many factors, including age, activity level, diet, health issues and a host of other variables. Neo40 makes me feel a little burpy. Is that normal? Yes. Nitric Oxide, the element Neo40 helps your body produce, is a gas. This will cause some people to experience excess gas initially, but it is usually mild. In fact, most people who experience any burping only experience one mild burp shortly after the tab has dissolved. My tongue feels sensitive after the Neo40 dissolves. Is that OK? Yes, it is not unusual for Neo40 to cause tongue sensitivity, especially if you’re taking it twice a day. To decrease tenderness, try moving the tab across your tongue and around in your mouth as it dissolves. If you still experience tenderness, you can chew the tab for faster absorption. Will Neo40 keep me awake at night? Neo40 contains B vitamins, which can improve energy levels in some people, causing you to become more alert at bedtime. If you experience sleeplessness, take it earlier in the evening. And if you’re taking Neo40 twice a day, be sure your two doses are still 12 hours apart. My Neo40 tabs seem to be turning slightly brown. Is this normal? Like many dietary supplements, Neo40 is very sensitive to heat and humidity. Make sure to store it in a cool, dry environment. However, any discoloration will not impact effectiveness of the product, and you may continue to use it. Does Neo40® have any side effects or interactions with medication? Currently, there are no known contraindications with any medications. Consult your physician prior to use if you are taking 1) Organic nitrate medications such as isosorbide 2) Erectile dysfunction drugs since the combination of the two may cause an unsafe drop in blood pressure or 3) Blood thinner medications or 4) Medications related to lowering blood pressure. Discontinue use and contact your physician if you experience dizziness or fainting. Can I take Neo40® daily with my prescription drugs? Ask your doctor or pharmacist. It is always important to seek medical advice before adding supplements to your regimen, especially if you are currently taking prescription drugs. However, many medical professionals are just now learning the benefits of nitric oxide and becoming aware of products that help restore levels. There are resources on the Neogenis® Labs website dedicated to informing the medical community about the latest research. Be sure to consult your physician prior to use if you are taking 1) Organic nitrate medications such as nitroglycerin or isosorbide 2) Erectile dysfunction drugs since the combination of the two may cause an unsafe drop in blood pressure or 3) Blood thinner medications or 4) Medications related to lowering blood pressure. Discontinue use and contact your physician if you experience dizziness or fainting. Do I still need to take my prescription drugs if I am taking Neo40® daily? Always consult your physician or pharmacist before discontinuing or reducing any prescription drugs. What if I’m taking cholesterol medication, like Crestor? Can adding Neo40® daily help? As with any nutritional supplement check with your physician or pharmacist when adding to your regimen. Neo40® daily is made of botanicals and other ingredients that help your body produce nitric oxide. Only your health care provider can review the nitric oxide effects and determine what is best for you. 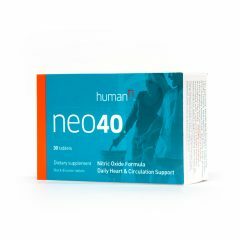 Can I take Neo40® daily with other supplements? The best answer we can give is “It depends.” Because different people react differently to medications and supplements, only your health care provider can let you know what will work safely for you. Do I still need my other vitamins? Most likely, as Neo40® daily isn’t a multivitamin. (But Nutrient Foundation is!) But this should be discussed with your healthcare practitioner before making that choice. Why should I sign up for the replenishment program? Nitric Oxide is critical to our very lives and wellbeing. Which means replenishing it is critical, as well. We’ve made it easy to get our functional foods and supplements through our replenishment program. When you join the program, you’ll receive monthly shipments of one or more of our products, or if you prefer, a three-month supply every 90 days for our best savings. Shipping is free with our replenishment program and you can cancel any time. When I make a purchase over the phone, through the website or send in an order from a mailer, am I automatically enrolled in an auto replenishment program? No, we will not enroll you in any program unless you ask us to. If you would like to be enrolled in our auto replenishment program, you must specifically request it. How do I cancel my enrollment in the replenishment program? You can cancel your enrollment in our replenishment program at any time by calling our Customer Support team at 855-636-4040 or by filling out our contact form and submitting your request online. What does HeartGreens do for me? HeartGreens helps support your daily foundational nutrition. Each serving provides 9 organic superfoods that are good for heart health and support an alkaline diet. 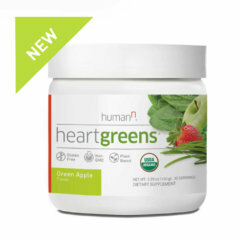 How is this new HeartGreens formula different from what the HeartGreens I've bought in the past from you? Is HeartGreens vegan, gluten free, soy free, and dairy free? Yes, HeartGreens is Vegan. It is also Gluten free, Soy free, and Dairy free. Do you use any non-organic ingredients in this formula? No. We are proud of our Certified USDA Organic status and only use organic ingredients in HeartGreens. How do you get the Green Apple flavor? Our green apple flavor comes from the use of organic apples in the formula. As well as some supporting organic flavoring. Each serving of HeartGreens contains 20 calories when mixed in an 8oz glass of water. How long does one container of HeartGreens last? Each container has about 30 servings inside. What makes this product better than the competition? HeartGreens contains only, clean certified organic ingredients you can pronounce and understand. We did not add any fillers or fibers to “bulk up” the formula. Additionally, HeartGreens has a smooth, refreshing green apple flavor you and your family will love. Most greens powders taste like grass clippings that make it a chore to consume. With HeartGreens, organic fruits and vegetables has never tasted this good! How do you recommend using HeartGreens? We recommend 1 scoop daily in your morning glass of water. You can also add HeartGreens to your smoothie or favorite recipe to enhance your HeartGreens experience. How much sugar does HeartGreens contain? HeartGreens contains 1g sugar per serving. This is naturally-occurring sugar from the organic fruits & vegetables in the formula. What are the benefits of taking a multivitamin and mineral supplement such as Nutrient Foundation? A multivitamin and mineral supplement can help fill in the daily nutritional gaps in one’s diet. It is important to take a multivitamin and mineral supplement as part of a healthy diet and exercise routine. What is the suggested use for Nutrient Foundation? Adults, take 3 tablets with water, preferably with a meal, as a dietary supplement, or as directed by a physician. How should I store Nutrient Foundation? What does grape seed extract do? Does Nutrient Foundation contain any artificial flavoring or coloring? No, Nutrient Foundation does not contain any artificial flavoring or coloring. No, Nutrient Foundation is not gluten-free. If I take the regular dosage does it supply enough probiotic for a normal person or would I need to supplement with an additional probiotic? Nutrient Foundation has a different strain of probiotic compared to most, how is it different? Nutrient Foundation contains Lactospore, a probiotic preparation of lactobacillus. Different people have different requirements for probiotics based on their diet and normal flora. The lactospore found in Nutrient Foundation is not intended to replace other probiotics. Does Nutrient Foundation contain any allergens? Yes, Nutrient Foundation does contain Wheat. Nutrient Foundation contains malt diastase, which comes from wheat and barley. Online orders can take up to one business day to process and ship. Standard shipping is done via USPS and generally takes five to seven business days. Two-day shipping is done via UPS. NOTE: There will be no Saturday deliveries for two-day shipping. For full details, see here. I sent in an order through the mail a while ago, where is my product? Typical processing time for orders and checks received through the mail takes five to seven business days. We can assure you that once your payment is processed, we will send out your product. I asked to be removed from your mailing list, yet I still receive mailers, why haven’t they stopped? We remove anyone who requests to be taken off the mailing list right away. However, it can take up to three mailing cycles for you to experience your request because we have our mail printed, processed and ready to ship for a month in advance. If you are not fully satisfied with your product, you may return it within 90 days from the order date for a full refund of the purchase price, minus the shipping and handling charge. The item must be returned, used or unused, in good condition in original boxes. You must also provide a Return to Manufacturer Authorization (RMA) number along with the product, which you can get by calling our Customer Support team at 855-636-4040. Please write the RMA number on the outside of the return box, so the return can be processed by our Returns Department. Any return without the RMA number on the outside of the box will not be processed for refund. When should I ask my doctor about Nitric Oxide? As with any nutritional supplement, check with your pharmacist or physician when changing up your daily regiment. Note that many practitioners are just now learning about the incredible benefits of Nitric Oxide, and aren’t necessarily aware of products like Neo40. To provide the best information for both consumers and medical professionals, our website includes a plethora of facts, methodology, research and clinical studies. If your healthcare provider isn’t familiar with the latest studies about N-O, simply direct them to Humann.com. What foods can I eat to increase my Nitric Oxide production? Many foods, such as spinach, nuts, artichokes, beets and certain green teas, are rich in dietary nitrates, which convert in the body to Nitric Oxide. However, one of the known facts about Nitric Oxide is that it gets harder to consume enough of these nitrate-rich foods in order to compensate for the declining Nitric Oxide production levels of your body as you age. Why have I never heard of Nitric Oxide before? As molecules go, the discovery of Nitric Oxide occurred fairly recently. First identified as a signaling molecule in 1988, Nitric Oxide, commonly referred to as N-O, is a gas that consists of just one nitrogen atom and one oxygen atom. But despite its small size, it’s one of the most important signaling molecules in the human body. In 1992, Nitric Oxide was proclaimed the “Molecule of the Year” by the American scientific community. Why are people suddenly talking about Nitric Oxide now? Until recently, most of the research about Nitric Oxide was only shared within the scientific community. Over time, as advancements and new patents have been made, Nitric Oxide is becoming more available in more innovative ways. It helps, too, that major media outlets have started sharing the story and creating more word of mouth. Where can I get more information and facts about Nitric Oxide? There’s a wealth of information about Nitric Oxide available in our Science section. And please feel free to email us at info@humann.com for any further questions. My urine and other waste looks pinkish after using SuperBeets - is this normal? Yes, this is perfectly normal. This occurrence is known as beeturia, the passage of pink or red urine after the ingestion of beetroot The observed color is due to the presence of a beet pigment, betacyanin, in the urine. Beeturia typically occurs in 10-14% of the population. What is the difference between SuperBeets and Neo40? Is the sodium and potassium present in SuperBeets naturally occurring from the beets or are they added? The sodium and potassium in SuperBeets are naturally occurring from the beets used in the product. Can I use SuperBeets and Neo40 together? Absolutely! SuperBeets and Neo40 actually work synergistically to help you reach your goals. We recommend taking a Neo40 tab in the morning to help support cardiovascular and heart health and a serving of SuperBeets in the late afternoon for an extra jolt of energy and stamina. If you do combine them, do not exceed one Neo40 tab combined with a 10 gram serving of SuperBeets in 24 hours. Why does SuperBeets contain such fine granules? Due to the hygroscopic (water-absorbing) nature of beets, they are very prone to clumping when exposed to air and moisture. To alleviate this issue, SuperBeets is made into finely granulated crystals that are easier to mix and less prone to clumping. For ease of use, avoid shaking the canister prior to opening. Simply scoop the desired amount into a shaker bottle or blender, and mix immediately. For best results, store SuperBeets in a cool, dry location, and close the lid tightly after each use. SuperBeets should be used within 45 days of opening the canister. How often can I use SuperBeets? You can have up to 10g a day, which is two 5g scoops in a 24-hour period. My SuperBeets order arrived hardened. What should I do? SuperBeets is very sensitive to the heat, and can become hardened if exposed to the heat for too long. To accommodate for this, we take extra shipping precautions during the summer. However, if your canister is affected, please call Customer Support at 1-855-636-4040. We will be happy to replace your order. Once delivered, make sure to store your SuperBeets in a cool, dry place in your home, as well. There has been some clumping with my SuperBeets powder. Is this normal? Yes. SuperBeets is very sensitive to moisture and heat, and can begin to clump when exposed to heat or sunlight for too long. After using, close the container tightly and store in a cool, dry area. Note that clumping does not diminish the effectiveness of the product, and will dissolve when properly mixed with water. For ease of mixing, use a utensil to stir or break up the powder prior to scooping. What is the difference between SuperBeets and BeetElite? SuperBeets is your daily circulation superfood for improved energy and daily support of healthy blood pressure levels. While BeetElite is optimized to use before your workout for an effective boost of Nitric Oxide activating food that helps the body promote extended exercise endurance and improved stamina. Why is SuperBeets not organic? SuperBeets beets uses non-organic fermented and non-fermented beetroot powder. Why? Organically grown vegetables are more variable in their nitrate content. All beets used in SuperBeets are Non-GMO and have been tested and standardized to contain the levels of nitrate needed to activate Nitric Oxide production. My urine and other waste look pinkish after using BeetElite - is this normal? How does BeetElite improve athletic performance? Beetroot is a source of antioxidants and dietary nitrates found in the soil and concentrated in beetroot. The body converts these dietary nitrates to Nitric Oxide (N-O), helping to support circulation, and thus, the volume and speed of nutrient delivery to the muscles. All which improve energy efficiency for performance and recovery. BeetElite is designed to be a pre-workout shot to support exercise and athletic performance. It is for anyone who does any kind of physical activity, from Olympic and professional athletes to hobbyists to people looking to keep active. Of course, it is also for anyone who just wants to enjoy the nutritional benefits of beets. How is BeetElite different than regular beet juice? BeetElite tastes better, acts faster and has more N-O potential than any other beetroot products that we have tested. Slightly sweetened with stevia, BeetElite has a mildly sweet and clean-tasting flavor. It is available in two delicious flavors: Black Cherry and Original. When mixed with four ounces of water, one 10g packet of BeetElite delivers the same Nitric Oxide power as one liter, or two 16.9 oz bottles, of the leading beet juice—or six whole beets! BeetElite helps the body convert to Nitric Oxide three times faster than beetroot juice. BeetElite can be consumed 30 minutes prior to exercise, as opposed to other beet products which take 90 minutes or longer to start working. Do you use non-GMO beets? Yes. The exceptional quality and effectiveness of BeetElite starts with the perfect beetroots—specially sourced non-GMO beetroots with the highest dietary nitrate content as confirmed through High Performance Liquid Chromatography (HPLC) and ozone-based chemiluminescence testing. When is the best time to take BeetElite? BeetElite can be consumed as soon as 30 minutes prior to exercise. BeetElite maintains effective levels for up to six-eight hours, so unless you are working out two times a day, or longer than six hours, one serving should be enough. BeetElite is best if consumed within 15 minutes of mixing. Do not exceed more than one serving of BeetElite within 24 hours. I am working to build strength, endurance and muscle. Can BeetElite help me? Yes. Beneficial effects are seen for both strength and endurance athletes. Regular intake of dietary nitrates has long-term benefits, such as increased muscle mitochondrial density. Studies have shown increased mitochondrial density can be achieved within one week of adding dietary nitrates. I compete clean. Is BeetElite safe to use? Absolutely! 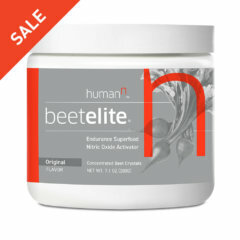 BeetElite is a food, made up of simple ingredients —non-GMO beets, natural black cherry flavor, malic acid (which is derived from fruit), magnesium ascorbate, malic acid, and a small amount of stevia leaf extract. Further, our manufacturer is GMP-certified, ensuring the highest quality. Professional, collegiate, and Olympic athletes across the globe use BeetElite. I follow a paleo diet. Is BeetElite compliant? Since BeetElite is sourced from 100% non-GMO beets, it is indeed compliant with a paleo diet. There are no added sugars, hormones, stimulants, preservatives, artificial sweeteners, colors or flavors. In fact, the paleo diet guidelines for athletes often suggest you consume vegetables, such as beets, to sustain energy levels during workouts. Can I mix BeetElite with other beverages? For best results, do not mix BeetElite with anything other than water, and drink it immediately. What is the best way to mix it up for a group of people? Simply add the desired amount to cold water and do a quick spin in a mixer, shaker bottle or use a wire whisk to hand mix. Serve immediately. Alternatively, BeetElite can be premixed in partially-filled small water bottles kept chilled in a cooler or refrigerator to be passed out in the locker room, but needs to be consumed within 15 minutes of mixing. There are also single serving packets players can pour into a partially-filled small water bottle, and shake to mix. Does BeetElite replace my other fuel and hydration products? We suggest you continue with your usual fueling and hydration strategies. As you incorporate BeetElite into your nutrition plan, you may be able to adjust other elements based on your personal sports nutrition goals, and your body’s response to increased Nitric Oxide levels. One 10-count box of BeetElite is designed to provide a two-week’s supply, when using BeetElite as a pre-workout shot for five days out of the week. Doesn’t the dehydration process deplete the nutrients in beets? Not with BeetElite! While the procedures that are usually used in most drying processes deplete the nutrients and nitrate content, our manufacturer has a unique drying process so the nutrient integrity, including dietary nitrates, of the perfect beetroot is maintained. Does a loading period make BeetElite more effective? BeetElite is designed to be effective in one single shot just 30 minutes before exercise. Some athletes prefer to take BeetElite for three days leading up to an event (priming stage), however, it is not necessary for effectiveness. What’s the best way to store BeetElite? To keep BeetElite in its optimal form, store it a cool, dry place. In warmer weather, try not to keep it in your car or other areas than could expose it to heat for extensive periods of time. There has been some clumping with my BeetElite powder. Is this normal? Yes. BeetElite is very sensitive to moisture and heat, and can begin to clump when exposed to heat or sunlight for too long. After using, close the container tightly and store in a cool, dry area. Note that clumping does not diminish the effectiveness of the product, and will dissolve when properly mixed with water. For ease of mixing, use a utensil to stir or break up the powder prior to scooping. How often can I use BeetElite? Do not exceed one serving of 10g over a 24-hour period. Can I mix Protein40 with anything aside from water or skim milk? Yes, you can mix Protein40 with almost anything! We do recommend that you try it with milk (for a creamier taste) or water first. You can also mix Protein40 with coconut water, almond milk, or your favorite beverage. Do not mix with hot water or hot beverage. Can I bake with Protein40 and put it in my pancakes? Yes, you absolutely can! In fact, some of our customers love to mix it in with their oatmeal or make protein bars with it, too. We do caution that baking with a protein powder like Protein40 may achieve mixed results for you, both in taste and texture based on the recipe that you choose to use. There are many good articles out there that you can find that provide tips on how to bake with a whey-based protein powder. Baking won’t affect the ingredients within Protein40 — it may slow the digestion process down a little bit, so that the protein synthesis process takes a little longer to turn on, but Protein40 will still function well, because the proteins are stable. If I am under 40 years old, is this still a good protein for me? Protein40 is an excellent protein to take at any age. 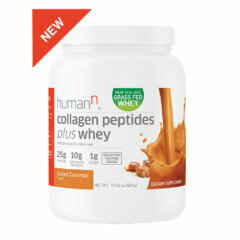 While it’s designed to maximize protein synthesis for middle age and older individuals who have a harder time turning on muscle protein synthesis and tissue repair with the inclusion of 3 types of protein and added 2g of Leucine (4 total grams of Leucine in Protein40), it’s also effective for anyone younger than 40 to use to supplement their protein intake due to premium proteins and other ingredients. I am lactose intolerant. Do the proteins in Protein40 have lactose in them? Why do you recommend that for best results, take in the evening? When we sleep, the body is typically in a negative nitrogen balance, which means that we’re losing lean tissue, such as muscle. This process happens in order to provide precursors for the production of blood glucose in the liver. Research has found that providing a long activating protein supplement about 30 minutes before bedtime will result in supporting healthy protein balance and thereby increase muscle development, rather than lose muscle. What testing did you do on Protein40 to determine that it has a low glycemic index? HumanN worked with GI Labs (website), leaders in the field of glycemic index (GI) testing and determination, to be certified as a low glycemic index protein powder based on their protocols and methods. For more information on their protocols and methods, you can read more on their website here. Why does Protein40 have “more” sugar than other protein powders I see out there? The rate of muscle development is the difference between the rate of protein synthesis and rate of protein breakdown. Protein40 has 9 grams of sugar, which was added to prevent muscle protein breakdown by elevating blood insulin levels. By reducing the rate of muscle protein breakdown while increasing the rate of muscle protein synthesis, you are able to speed muscle development. Much of the sugar content in Protein40 is Isomaltulose. This carbohydrate has multiple potential health benefits when it is consumed in place of sucrose and certain other carbohydrates. The benefits arise because, in comparison with sucrose and most other sugars, isomaltulose is digested slowly and steadily by humans and animals). Does Protein40 contain any artificial flavors or sweeteners? No. Protein40 is using milk-based proteins, which are shown superior to plant-based proteins for promoting protein synthesis. What are the "natural flavors" in Protein40? The natural flavor is cocoa for the chocolate flavor of Protein40. Is Protein40 Paleo, Atkins, Ketogenic, South Beach, etc. friendly? Protein40 is low in carbohydrate and high in protein, so this would be good with Paleo, Atkins, and South Beach diets. If you’re on a ketogenic diet, Protein40 may not be fully compatible. How many times can I use a Nitric Oxide Indicator Strip? Our Nitric Oxide Indicator Strips can only be used once. Re-using an Indicator Strip will result in an inaccurate reading. What exactly is measured by the Nitric Oxide Diagnostics® Indicator Strips? We know that once nitric oxide is produced by the endothelial cells or other cells in the body, it is oxidized to nitrite and nitrate. The Nitric Oxide Diagnostics® Indicator Strips measure the amount of nitric oxide that is recirculated through the saliva. This measure represents the total systemic bioavailability of nitric oxide in your body at that time. How often should I use the Nitric Oxide Indicator Strips? We recommend using every day when you first begin taking Neo40®. This will help you track your nitric oxide restoration process. You can also use before and after intense physical exercise or at a set time each day. Monitoring your nitric oxide levels before and after taking your nitric oxide supplements will allow you to see the change. But do wait at least 15-30 minutes after taking a Neo40® tab before use. My indicator strip continues to show “low” - is your product not working? There are also some people who do not have the proper bacteria in their mouth or their stomach to support nitric oxide repletion. If you continue to test “low” after using Neo40 or SuperBeets for the recommended 30-45 day restoration phase, you are likely one of these people.